My neighbors started decorating for Autumn. The moment my daughter noticed their pumpkins and scarecrows, she started begging for us to start decorating too. We pulled out the Halloween boxes and played with all the old costumes and masks. Made a mess with fake spider webs… and realized we are missing decorations from the move. Besides… this is a perfect opportunity to get crafty! 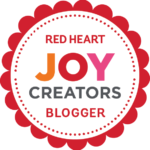 I decided to share with you my adventure for finding the funnest decorations and activities. Each week until Halloween, we will be creating a few different things from different categories. The first is Ghostly Activities! Have fun! First, the non crochet related Ghostly Activities. 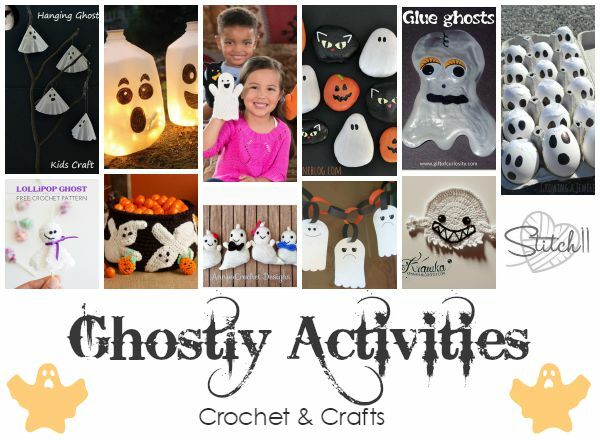 Now, the (free) Crochet Ghostly Activities!